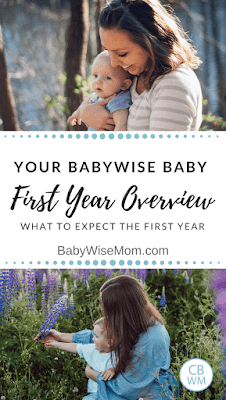 Overview of the your Babywise baby’s first year. What to expect in the first year. Know how many feedings to have, when to drop feedings, how many naps baby should have, and how long to expect naps to be. Sometimes you just need a snapshot–the ability to step back and look at the big picture. 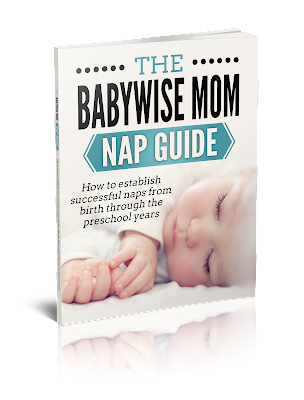 This post has a breakdown of the book On Becoming Babywise (affiliate link) and what to expect your whole first year when you use that program. 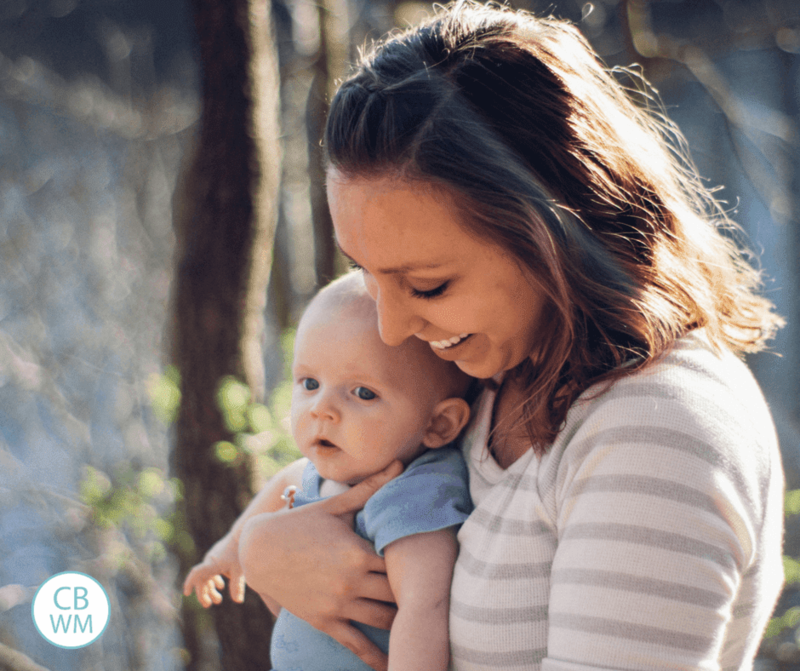 Even when you have several children, it is easy to forget when to expect certain milestones. 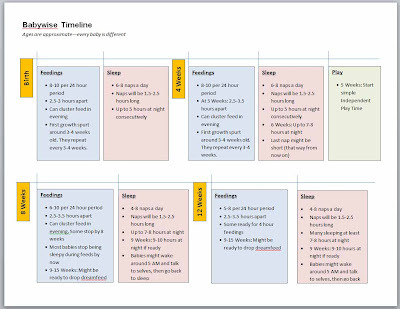 Here is a timeline of your baby’s first year and what to expect when, along with what to implement when. This is just a guideline, not a set-in-stone rule sheet (yeah, “stone” and “sheet” aren’t really compatible, but it gets my point across). There is a wide range of when babies sleep through the night, for example. There are so many factors that will influence, the least of which is not your baby’s individual personality. This post contains affiliate links. I will list the youngest age you can possibly expect something to happen. There are a lot of babies who do these things at older ages. Information is from On Becoming Baby Wise book one and On Becoming Babywise Book Two . 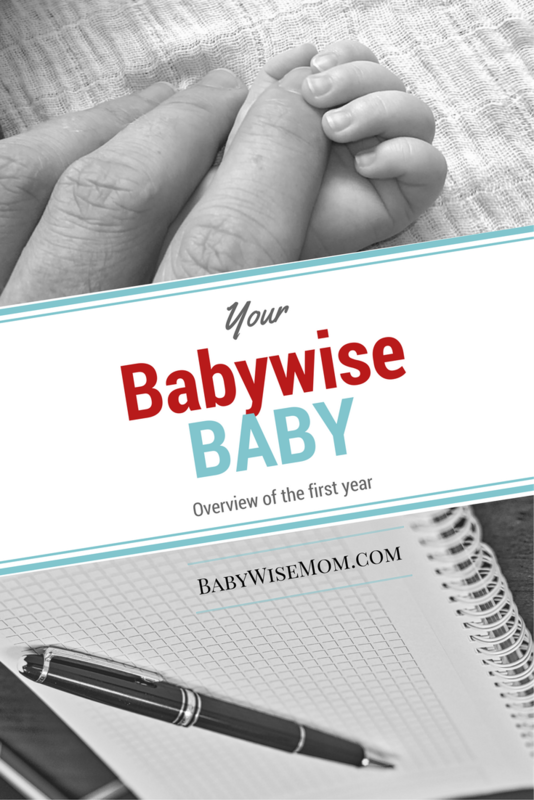 Babywise suggests starting off for two weeks not worrying about feeding times or anything other than getting used to your new baby and getting things like feedings totally down. Birth: A Newborn will have 8-10 feedings in a 24 hour period initially. Birth: Feedings will be 2.5-3 hours apart. Birth: 5 hours of sleep at night consequtively. Do not allow more if breastfeeding. Birth: Can cluster feed (from Baby Whisperer). 3 Weeks: First growth spurt will likely happen this week or next. Growth spurts happen every 3-4 weeks and can last up to a week at a time. 5 Weeks: Baby might be able to do 2.5-3.5 flexible schedule. Baby might not be ready for this until 8 weeks or older, though. 5 Weeks: Start simple Independent Playtime this week. 6 Weeks: Baby can be allowed to sleep longer stretches at night. 7-8 hours is okay. 7 Weeks: Baby might start sleeping 7-8 hours at this age. Many babies do not do this until older, though. 8 Weeks: Baby might be ready to drop to 6 feedings in a 24 hour period. 8 Weeks: If cluster feeding, some stop at 8 weeks. 8 Weeks: Most babies will no longer be sleepy during feedings and are easier to keep awake. Some do this younger. 9 Weeks: Baby might be ready to drop the dreamfeed. The range is 9-15 weeks, and yes, many times baby is older than that. 9 Weeks: Baby might be able to go 9-10 hours at night between feedings if breastfed. If bottle fed, it can up up to 11. Keep mind many babies are still not at 7-8 hours at night yet. 9 Weeks: 2-3 month old babies might wake up in the 5 AM hour and talk to themselves for a while before falling back to sleep. 12 Weeks: Many babies are now sleeping 7-8 hours by this age. 12 Weeks: Some babies are ready to go to a 3-4 hour feeding schedule. 13 Weeks: Might be ready for 5-7 feedings in day. See Index For Newborns for posts and more information on this age range. 4 Months: Baby is usually at 3 naps. If not, by 5 months baby should be at 3 naps in a day. 4 Months: Baby might be ready for 10-12 hours of sleep at night. Some will not be ready for this until 6 months, and the normal range is always 10-12, so some babies might just be 10 hour a night people. 4 Months: Often a rough age for sleep. 4 Months: Baby will move to 4-6 feedings in a day. 4 Montths: Baby might be ready for blanket time. 5 Months: You might want to start teaching sign language to baby. This can be done at any point forward. 5 Months: Teething can start to impact sleep. See 3-6 Month Baby Index for posts and more information on this age range. 6 Months: Baby will likely be ready to start solid foods. Consult with your doctor. 6 Months: Baby might be ready to move to two naps. Some are not ready until older. Average is 8 months. 6 Months: Have 4-5 nursings in a day. 6 Months: Naps will be 1.5-2.5 hours each. The third nap can be short (about 45 minutes). 6 Months: Independent play will be 15-30 minutes in length once baby can sit independently. 6 Months: Discipline will be needed if it hasn’t been already. Discipline means to guide and correct, not to hurt. 7-8 Months: Most babies will start finger foods in this age range. 8 Months: Independent play will be 30-45 minutes in length for the crawler. See 6-9 Month Baby Index for posts and more information on this age range. 9 Months: Most babies will be at two naps a day, though some will still have that short third nap. 9 Months: Discipline will be more of a part of your day as your baby becomes more mobile and more curious. Discipline means to correct and guide. 9 Months: Some people go to 3 liquid feedings a day. I stick with 4 until beyond one year old. 9 Months: You might have a snack at some point in the day. A logical place would be after the afternoon nap to hold baby over so baby can eat dinner with the family. 12 Months: Independent play will be up to 60 minutes. I have put all of this into a two-page document for you that you can print (I would print front and back and make it one page). It is pictured above. You can find it here. What a great reference – this maybe deserves it's own link on the main page! Thanks. Val, have I mentioned lately that I love you?!? Yes, song lyrics, but true. Thank you!!! So grateful for this!! Pregnant with 3rd and just need the refresher…not a reread! This and your weekly summaries will help tremendously! Thank you! My lo is almost 7 mos old. Still BFing her on the bw schedule, 5 x per day. She is at 3 naps, but the first 2 naps are never longer than an hour, sometimes only 45 mins. I've tried to let her cry but she never goes back to sleep. She wakes happy too not crying. Really like for her to nap longer tho. Any suggestions? This is exactly what is missing from the BW books!!! Awesome reference. Thanks!!! You couldn't have posted this at a better time! I am due in 8 weeks w my second baby and totally forgot about newborns and all the milestones with using babywise, this is beyond helpful, thank u! This was so thoughtful and so generous of you to do! Wow. This is so helpful. Thank you, thank you for taking all the time and effort into making that timeline. Hi Val, my LO is 8 weeks old. This is her general feeding schedule: 6:45, 9:45, 12:45, 3:45, 6:15, 8:45, wake up sometime between 2 and 4. She takes a nap about an hour after those feeding times and sleeps for an hour to two hours. I'd like to try and get her to sleep through the night. What can I do? Val, this is so organized and well done. Thanks so much! I think tons of your readers will refer to this post and chart many times! Thanks! This is fabulous! Thanks for the printable form too! About to have baby #2 and this will come in very handy!!! I agree that it should have it's own link on the main page. I love your blog – so very helpful!! Just need someone to tell me that my 12 week old boy (14 lbs now, 9.2 at birth) is normal for waking up once at night (DF at 10:30 then wake up at 3:30am, then WT at 7am for the day). BW says 7-8 hours or longer by this time…. is it time to start weaning him from it, help him along in sleeping through the night? you are all welcome! I think it will be quite handy! Kristine,You will have to decide on the CIO. I can't do it at night because I know I just won't be able to last through it. I don't like to do CIO unless I am committed. But there are moms who have done it at night with success, so if you feel like that is what he needs and you can do it, then go for it. Martha, you could try a dreamfeed, but it might also just be that she needs more time. She is still young in baby time (though I remember that it can seem like FOREVER when you are in newborn time). Nancy,I can't remember for sure, but I am pretty sure none of my kids were sleeping straight through at 12 weeks. I know Brayden wasn't and I don't think Kaitlyn was quite yet–McKenna maybe. Anyway, if that makes you feel better. Boys STTN later and some even later than 12 weeks (the book says that). If he is hungry, for sure keep feeding him. I have a quick question. My son is 3.5 months old and is still at 4 naps and has a dreamfeed. We're slowly pushing the dreamfeed up by 15 minute increments every week and also decreasing his food intake at that feeding. My question is this…should he drop the dreamfeed first? Or should he drop the 4th nap first? Or does it matter? Should I drop the nap first which would put him eating at 6:30pm, staying awake and then DF at 9 or 9:30 and then bed for the night? You have NO idea how much I read your blog. I absolutely love it. Thank you so much for writing!!! I actually need to update something I left out in the question above. In one of your posts you said to drop the dreamfeed only when you have to wake them up for it consistently and they're sleeping through the night consistently. Well, we always have to wake him up, but he still is waking up around the 3-5am range, sometimes he goes right back to sleep, sometimes I have to go in there and rock him for him to go back to sleep and on rare occasions, I may listen to him "make noise" for up to 45 minutes and realize that I have to feed him for him to go back to sleep. So I don't think that's "consistent" and maybe I don't need to drop the dreamfeed?? I'm so confused!!! Hi I just found your blog and I love reading all your posts! I have been reading BW Book 1 as recommended by a friend and I find your blog to be very informative in answering some of the questioins I have about implementing the BW. However, I do have one question I would like to ask. I have a 9 weeks old baby who was born prematurely at 32.5 weeks so her corrected age now is 2 weeks. 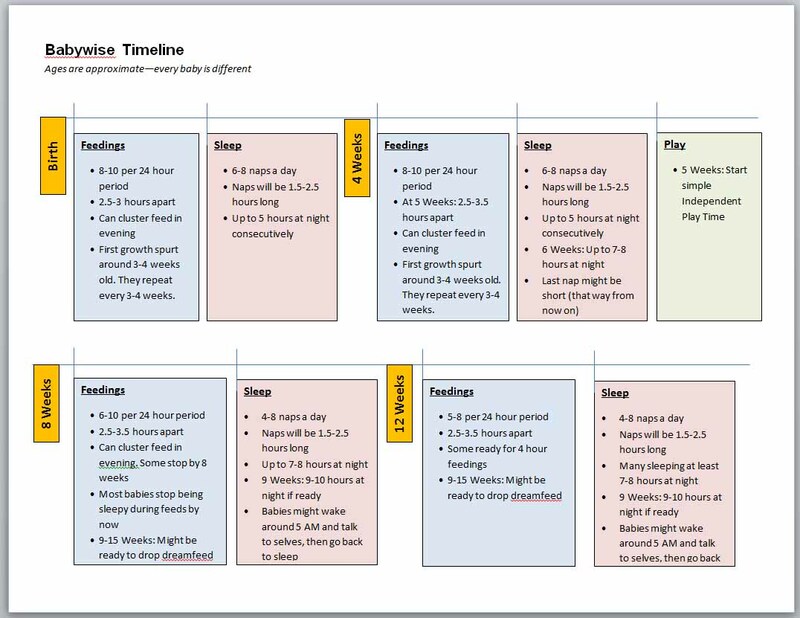 In following the BW, which age-appropriate feeding schedule should I follow? Would my duaghter be considered a 2 weeks old or 9 weeks? She is on a 4 hourly schedule at the moment as that is the schedule she was on at the hospital before she was discharged. She is on 12-4-8 schedule with some flexibility. Should i change to a 3/3.5 hourly feeding schedule? Hey! I love your blog and my husband and I have found it very helpful! I have a question about merge 3. We are breastfeeding. Baby has slept through the night 11-7 since week 7 with no problems. I feed at 7, 9:30, 12, 2:30, 5, 7:30-8 (tricky time), & 10. He sleeps until 7AM when we wake him. I know baby wise says I can go to 6 feedings and drop the last feeding. However I'm not sure if I should drop that if it poses a risk to my milk supply (im 31 and currently have no issues- baby in 100th%) OR should I move to feeding every 3 hours during the day and maintain the 10pm feeding (we always wake him for this so I guess it's a dreamfeed)? Thank you! !